Cellist Matt Haimovitz will be the featured soloist with the Boston-based chamber orchestra, A Far Cry, on the Tuesday Musical Series at E.J. Thomas Hall in Akron on March 11 at 7:30 pm. Haimovitz, who made his debut at the age of 13 with Zubin Mehta and the Israel Philharmonic, and his first recording four years later with James Levine and the Chicago Symphony, first appeared on the Tuesday Musical series in 1991. A Far Cry, a self-conducted ensemble, was founded in 2007 by “The Criers,” a collective of 17 young professional musicians who intended to develop an innovative, rotating leadership both on and off stage. 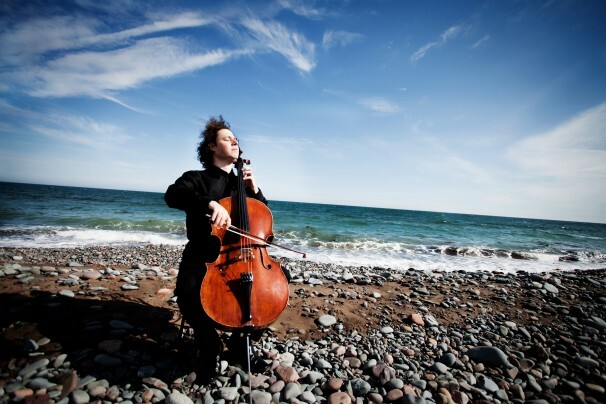 Steph Mackinnon/Steph Mackinnon – It’s been more than a dozen years since Matt Haimovitz first took Bach’s solo cello suites on tour across North America in untraditional venues, but he brought them back to Dumbarton Church. The Akron concert will include two works by Luigi Boccherini, his Quintet in C, subtitled “Night Music on the Streets of Madrid,” and his Cello Concerto in C. Haimovitz will also be featured in the first performance of Luna Pearl Woolf’s arrangement of Bloch’s Prayer from Jewish Life, and the orchestra will complete the program with Elgar’s Introduction and Allegro and Janáček’s Idyll.